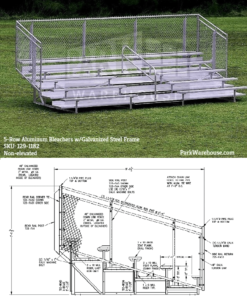 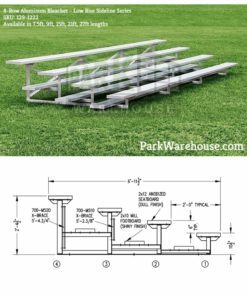 Durable, Light-weight, portable bleachers, with all aluminum construction. 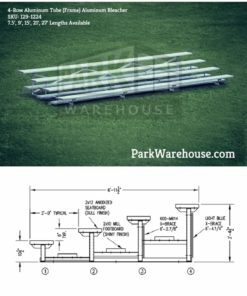 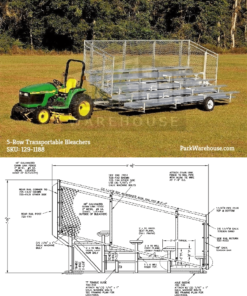 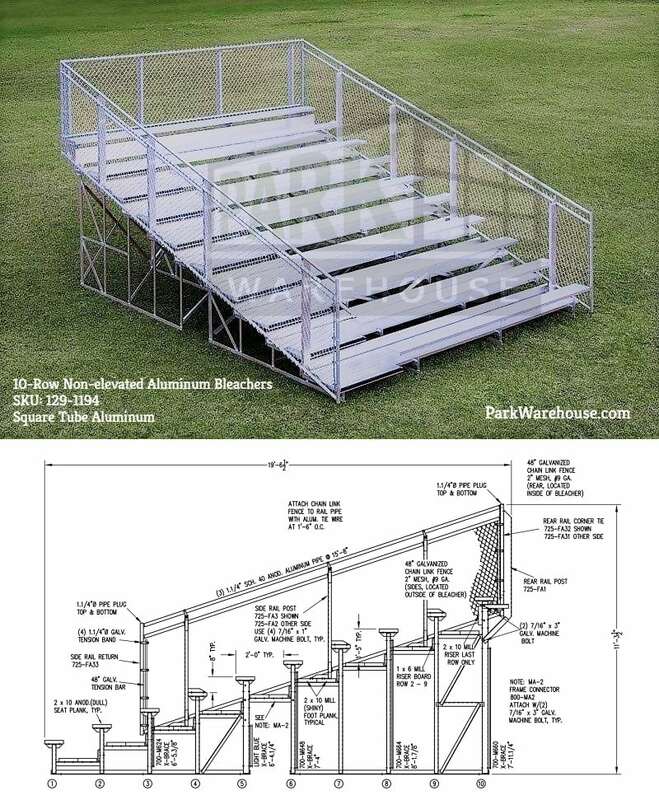 Standard features include; a aluminum tube and angle understructure with an 12’ rise & a 20' run, double 2x10 footboards, risers, 2x10 anodized seat planks, vertical aisle, and chain link guardrail system. 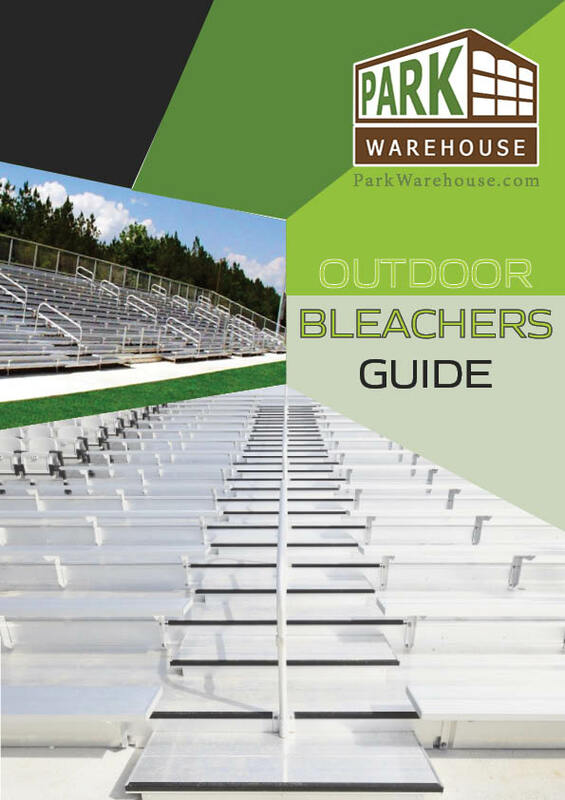 All Outdoor Aluminum Bleachers are designed in accordance with the IBC 2009, and ICC 300-2007 building codes.IBC 2009, and ICC 300-2007 building codes.